Life is an experience and mystery. It is a wonderful opportunity for all of us. Each day as we open our eyes amid the sunrise, it is a moment to nourish and be thankful for the amazing chance that we are given. With life, there are lessons that will be learned and memories that needs to be cherished. We are vulnerable to mistakes, trials and hardships. It is how we live our lives to the fullest that matters. 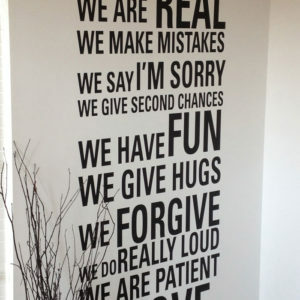 This wall quotation shows unconditional love. It defines the wonders of being human and having a family that shows love and support to every failure and success. 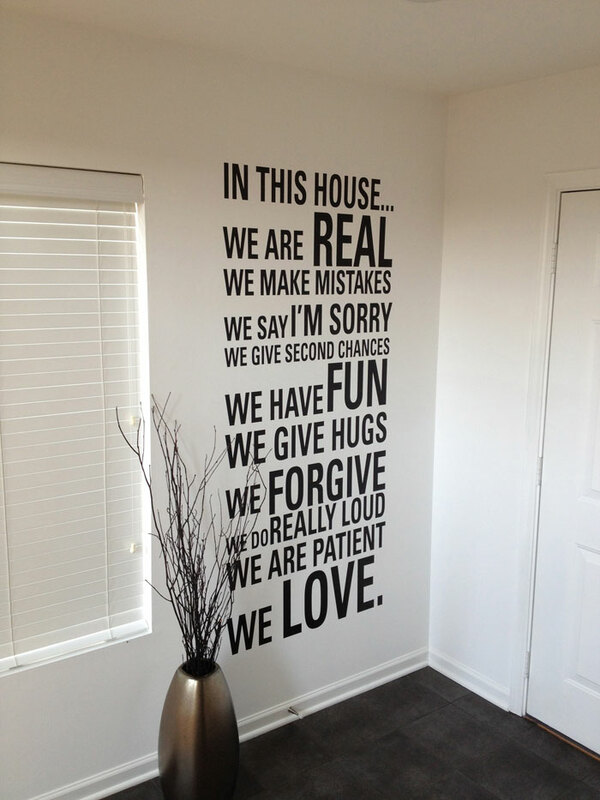 This wall decal can be placed on the wall in the family room, where there is a good ventilation facing the sunrise. Likewise, it is also good to put it in the kitchen area near the counter top or beside the wall of the kitchen’s door. It is advisable as well, to place it near the stairway, where anyone can see it right away or above the fireplace with a high ceiling. We placed this wall lettering near the door entrance, so one can see it immediately. In this wall quote, we used the “ Univers” font to blend with the modern design concept of the area. Black color, speaks with solidity and as well as impartiality. 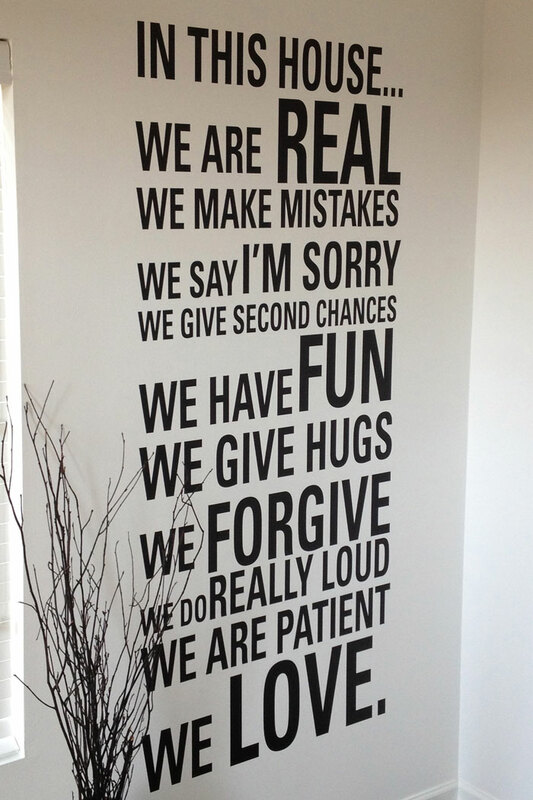 Some of the words are bigger in sizes to express sincerity of its meaning. The pure White color of the wall shows clarity and transparency. The plant in the background defines firmness and determination to advocate values. The bronze flower vase is a sign of boldness to administrative action. 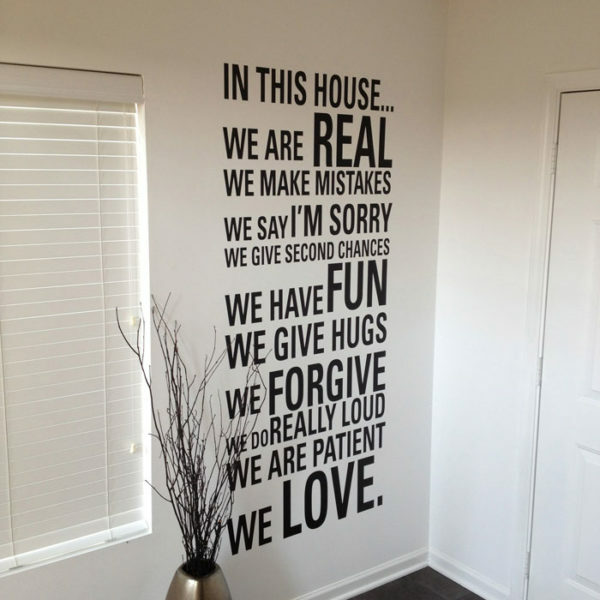 We have a variety of available color fonts in our section to compliment the color of your existing wall and there are 4 sizes to choose from to match with the space of your area. 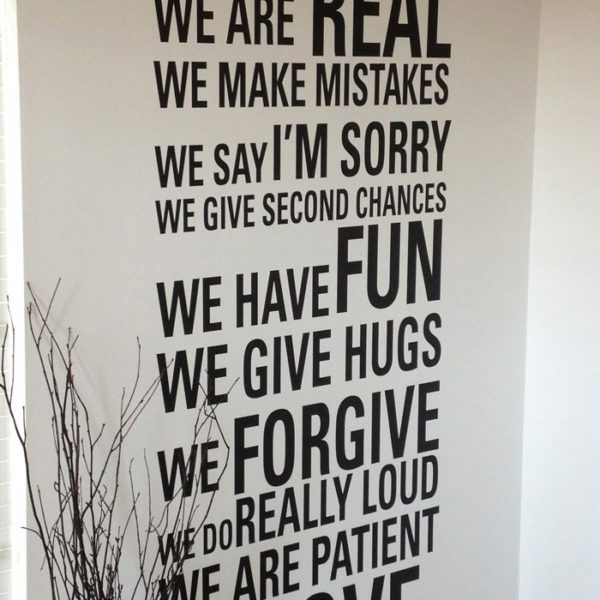 For some other ideas on where to place our great wall letters, you can check our Idea Gallery page or Contact us We’ll be happy to assist you from Mondays to Fridays, 8:30am – 4:30pm EST.